by Tim Whiteaker, Research Associate, Center for Research in Water Resources, The University of Texas at Austin, twhit@mail.utexas.edu. 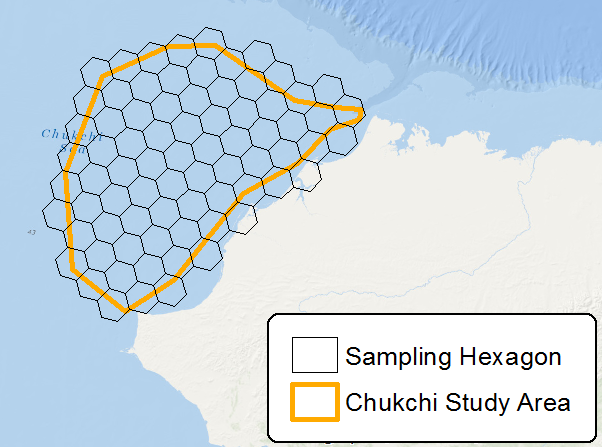 I recently needed to create a mesh of hexagons covering a study area in the Arctic for a research proposal. These hexagons define sampling locations, helping to ensure that all regions within the study area are represented by the sampling results. Such sampling schemes are often used by wildlife biologists, aquatic chemists, and other researchers. However, a hexagon creation tool is not included with ArcGIS, so I decided to create my own using ModelBuilder. 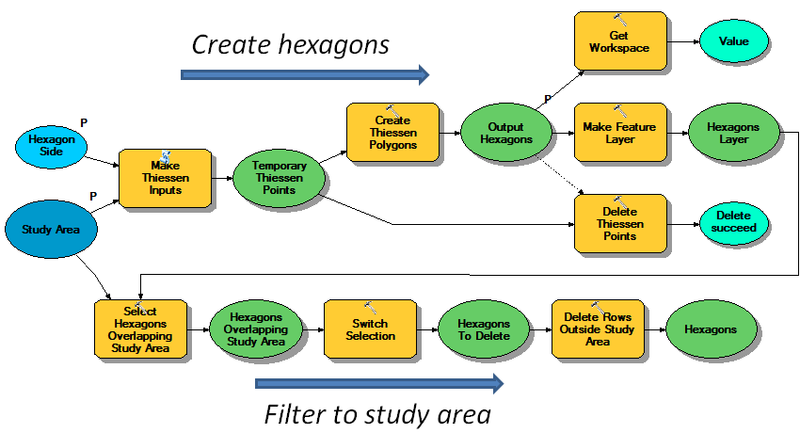 This tool creates a mesh of hexagons overlapping a study area. 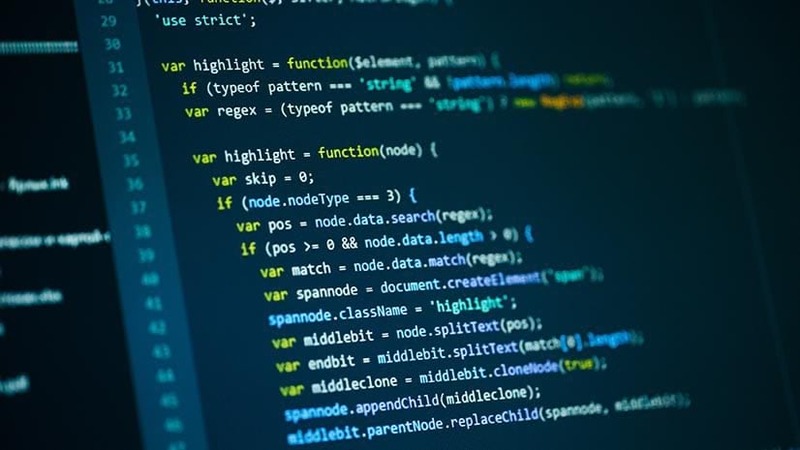 I only had to create one script tool for the model, relying heavily on standard ArcGIS tools in the model to keep code (and future maintenance!) to a minimum. The model tool is fairly simple. The model uses a script tool to create a mesh of points. The points are spaced such that if you run the Create Thiessen Polygons tool included with ArcGIS, regular hexagons (those of equal side length with internal angles of 120 degrees) are generated. The model runs these tools and then intersects the result with the study area to produce the final hexagon mesh. If you don’t like the result, you can choose a different hexagon size and run the tool again, or you can use ArcMap’s editor to fine tune the hexagon locations. You can also dig into the relatively small bit of script code or change tools within the model to get the result you’re looking for. I’ve shared this tool as a geoprocessing package in ArcGIS Online. I welcome feedback and in fact, I would love to hear ideas on how to tackle some challenges I encountered while developing the tool. You can read more about those challenges on the tool’s ArcGIS Online page. Happy hexagon-ing!